After graduating from the Toneelacademie Maastricht, Relinde de Graaff followed a voice actress course with Ben Maasdam. She does voice-overs for company movies, radio commercials, and animation series from Disney, the Cartoon Network, and others. Are you looking for a Dutch female voice over? Voice actress Relinde de Graaff lives in Amersfoort and has her own recording devices. In the demo below you can listen to the sound of her home studio. 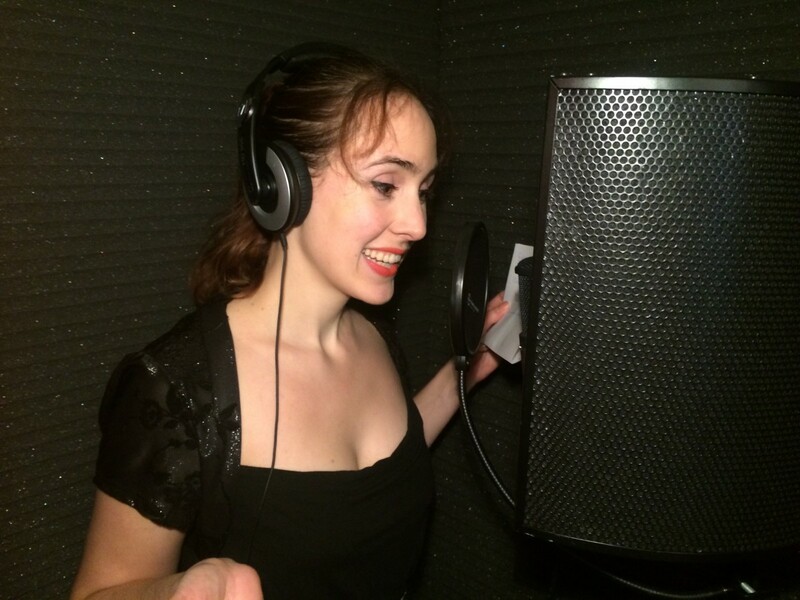 The voice actress can normally furnish voice-overs within 48 hours. Relinde’s favourite pastime is learning foreign languages. Though not a native speaker, the Dutch voice-over speaks Spanish and English fluently. She also dubs voice-overs in French and German effortlessly. She has elementary knowledge of Hindi/Urdu, and is currently studying Arabic. The Dutch female voice over artist regularly records voice-overs for company videos and animations. She did the voice-overs for company videos produced by Groener Gras Producties, Trenchcoat Film, and Starsound Productions. She’s one of the regular voices of Flicks Producties and Animo. As a voice actress, she takes care of several characters on animation series for SDI Media and Wim Pel Productions. To mention a few, she gives voice to Queen Miranda in Disney’s Sofia the Little Princess, to the cynical Raven in Teen Titans Go!, and she interprets the horse girl Mia in Lego Friends. She does the voice of Gark in Disney’s Counterfeit Cat. In Lego Elves she discovers the world of elves as the character Emily, and in Disney’s Violetta she impersonates selfish Oriana. She also recorded the part of Concordia for Pokémon. In Ever After High she covers the voices of both Cerise Hood and Farrah Goodfairy. The voice actress also dubbed the character Quoora for Disney video game Infinity, and she did the Rotterdam voice-over for the Back to the Future exhibition, a DPI production. If you live in the Netherlands, you’ve most probably heard Relinde on the radio. The Dutch female voice over recorded several radio campaigns for Argeweb B.V. that were broadcast on, Radio538, Radio 2, 3FM, BNR nieuwsradio, and others. She also did commercials for cloud provider Amsio, and was locally broadcast for Centrum Mondzorg in the province of Limburg. Do you need a female newsreader? Listen to her demo below! Updated on 2018-01-11T15:12:44+01:00, by Relinde de Graaff.